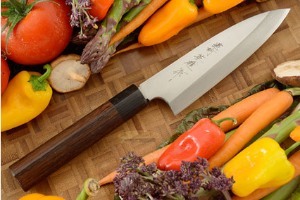 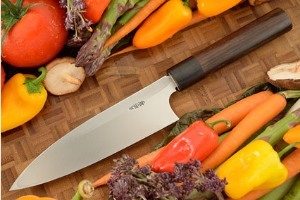 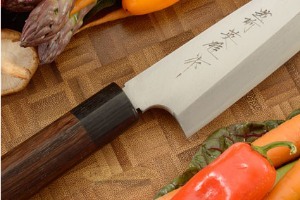 Description: Funayuki have a slightly thinner walled blade than other deba. 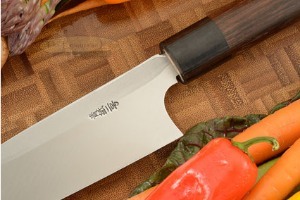 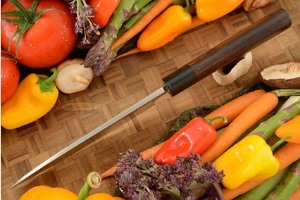 They are ideal for deboning meat and fish and are used for many other general purpose cutting tasks. They can be thought of as half way between a deba and a yanagi.